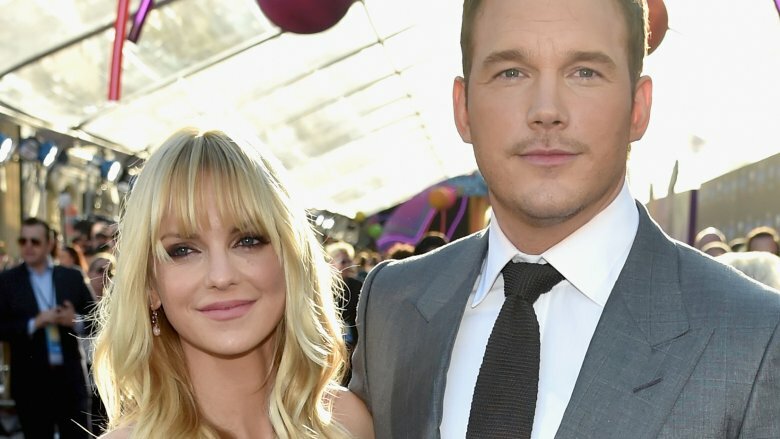 It's officially over between Marvel's Chris Pratt and Mom star Anna Faris. The formerly married pair reportedly finalized their divorce on Tuesday, Oct. 16, 2018, after a private judge took over their case earlier in the week, TMZ reports. According to sources cited by the gossip rag, Pratt and Faris will share joint custody of their only child, 6-year-old son Jack. While further details surrounding their divorce settlement have yet to be revealed, the amicable exes' property and finances will be divided according to the terms of their prenuptial agreement. As Nicki Swift previously reported, Pratt, 39, and Faris, 41, first announced their separation after eight years of marriage in August 2017. "Anna and I are sad to announce we are legally separating," the two wrote in a joint statement via social media at the time. "We tried hard for a long time, and we're really disappointed. Our son has two parents who love him very much and for his sake we want to keep this situation as private as possible moving forward." Both actors filed for divorce that December, citing "irreconcilable differences" as the reason for their split. Since then, the Parks and Recreation alum and Unqualified podcaster have moved on while successfully co-parenting their son. Pratt and his rumored girlfriend, 28-year-old author Katherine Schwarzenegger, first sparked dating speculation in June 2018. Since then, the pair's alleged romance has seemingly gotten more serious, as they were spotted on a weekend getaway in Napa, Calif. last month. Meanwhile, Faris has been romantically linked with Overboard cinematographer Michael Barrett since last October. Faris, who was body shamed on Instagram earlier this month, recently made headlines when she candidly recalled dropping her son off for his first day of kindergarten with her ex-husband. "Here's the thing, I feel really guilty that I wasn't more anxious. Because it feels like all the other parents were very anxious," she said during an appearance on The Talk, adding, "And I felt like … 'Can't we just drop him off?'" It sounds like Jack thought so, as Faris added, "He just ran in and he was like, 'Bye guys!'"